AlternativeTo.net - Looking for alternatives (many of them free) to software you're interested in? For example, alternatives to Word, PowerPoint, Photoshop, and thousands of other computer applications? This is the place to go! Computer Hope – Having trouble figuring out how to do what you need to accomplish on your computer? This website offers free help, tips, definitions, and forums to help you understand your computer better. CNET - CNET is a collective of the tech-savvy and tech-obsessed. Here you'll find reviews, news, downloads, how-to's - and much more. Office Training from Microsoft - Get free, downloadable versions of the following Office 2016 training courses. They’re in PowerPoint 2016 format, so you can customize them for group training or view them on your desktop. There is also training on Office 365. Students and teachers, get the online versions of Office 365 and 1 TB of online storage for free! 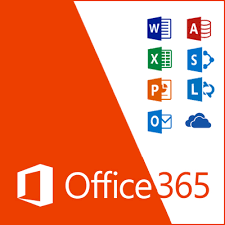 Office 365 is free to students and teachers with a valid school email and is updated regularly from Microsoft. ​Learn How to Code - Below is a list of sites that can be used to practice and learn computer coding in fun ways. Most are targeted for students grades 3rd-12th, but many are useful for anyone wanting to understand computer programming. Need to download an older version of software? Perhaps you hate the new update, or you have an older computer that can't run the newest version. Here are a couple of sites that specialize in letting you download older versions of software. OpenOffice or LibreOffice- an office suite of programs similar to Microsoft Office. Blender - a powerful 3D drawing and rendering and animation program. ZDNet - ZDNet brings together the reach of global and the depth of local, delivering 24/7 news coverage and analysis on the trends, technologies, and opportunities that matter to IT professionals and decision makers.